When Dr. Eric experienced a low back herniation, the surgeon said he’d never walk again unless he had surgery. A friend in chiropractic school said that a chiropractor might be able to help. Though Dr. Eric’s condition was alleviated, and he avoided surgery, it wasn’t what convinced him to enter the profession. Instead, it was that the asthma that had plagued him for years had disappeared. He was able to work out and play basketball again. With a desire to help others who were suffering, Dr. Eric attended Cleveland College of Chiropractic in Los Angeles. There, he earned a Doctor of Chiropractic. Dr. Eric also gained valuable experience from visiting chiropractic offices around the country. He did so during every break between trimesters. 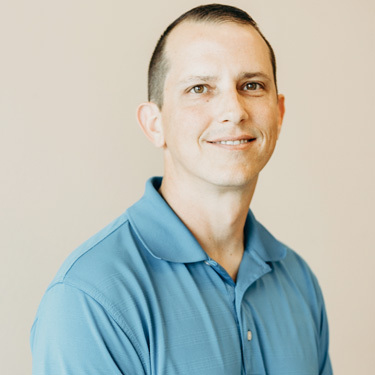 Dr. Eric gained mentors and learned about the business and practice of chiropractic. He was greatly influenced by the successful doctors he met. The continuing education Dr. Eric has taken includes topics such as sports medicine, pediatrics, neurology, and posture. He took these from the American Board of Chiropractic Physicians and the International Chiropractic Pediatric Association. Dr. Eric loves to treat children, seeing their growth and personality developing over the years. Their parents have noted improvements in their children and infants’ cognition, growth, speech, energy, function and sleep. He also enjoys working with expecting moms and their infants who may need assistance with latching issues or sleeping problems. His biggest accomplishments include a case where a child was unable to control his bowels. The child went to the bathroom in school and was bullied by his peers. After six months of getting adjusted, his problem went away. The child is thriving today. The power of chiropractic can create remarkable changes! Other times, patients benefit just from Dr. Eric’s caring manner and listening ear. One such man had lost his brother. During the man’s period of grief, he developed chronic hiccups that went on for two weeks. With a feeling that the man needed connection, Dr. Eric gave him a hug. The hiccups went away, never to return. Dr. Eric’s patients love his compassionate approach to health care. Dr. Eric was born and raised here. He loves giving back to others. Dr. Eric works with youth leadership camps through Rotary International. He donates his time to the Indio High School and Shadow Hills High School sports programs. Dr. Eric also lectures on health topics around the entire Valley. In his spare time, Dr. Eric goes on hikes with his wife and enjoys the great outdoors with his dogs. He’s dedicated to staying on top of the latest research in health to benefit his patients. Would you like to find out more about what we can do for you and your family? If yes, contact Gonstead Family Chiropractic today! We accept insurance coverage, including Medicare.